Linen shirt by Ralph Lauren and some blue laces to liven up these Bass canvas oxfords. The green canvas belt has a suede insert. It's made by Legacy which is a brand from Argentina that I discovered years ago. Whenever someone goes there on vacation I ask them to bring me one. 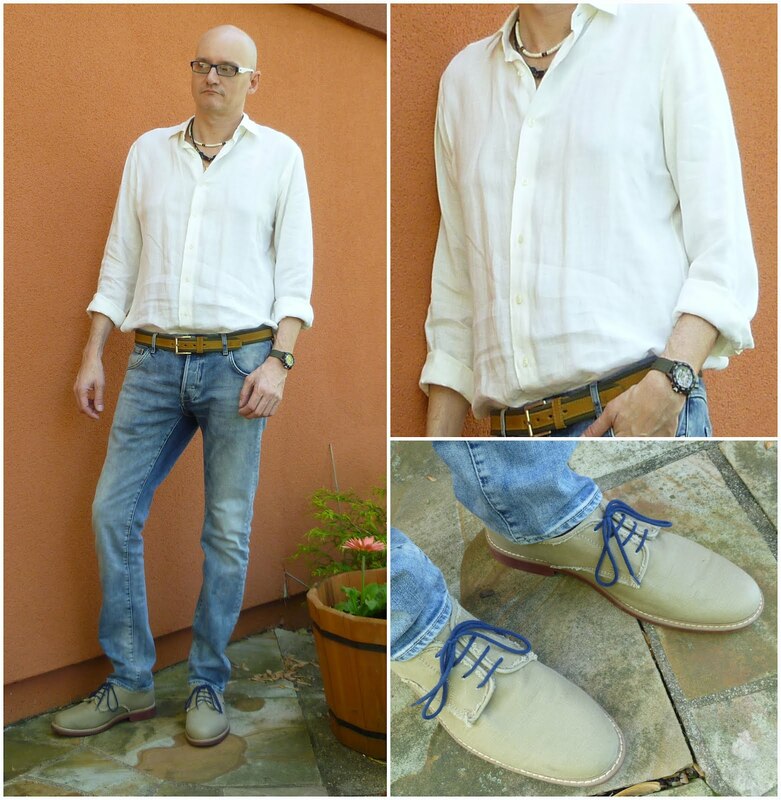 I love linen shirts! They are perfect for the summer! Like the blue laces too. :) Oh and my husband has started wearing "crazy" socks to work now. His recent ones are bananas, sharks, and pink argyle. LOL! !